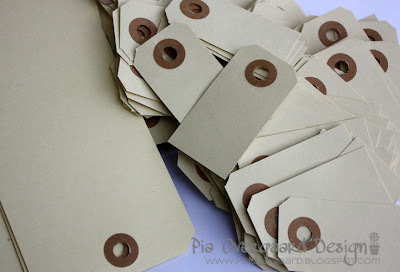 I use inexpensive manilla tags for many of things - but one of my favorite things is to make cute & simple stamped tags for gifts. 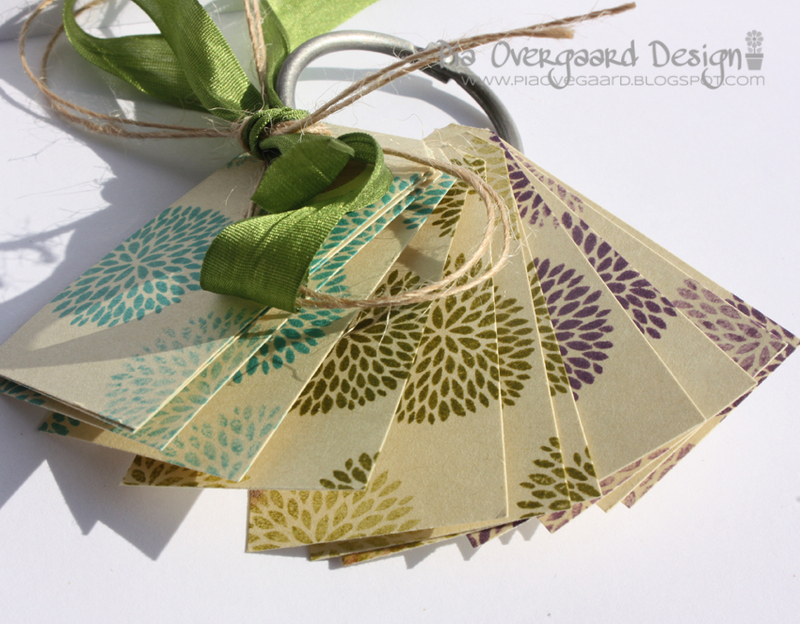 I love the combination of the simple tag & a beautiful stamp in a lovely color. 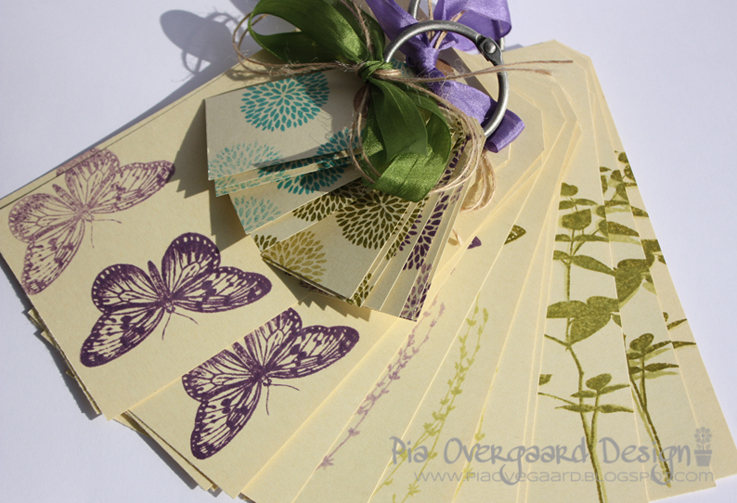 (just one color & second generation stamping (stamping 2nd time without reinking the stamp) to make a lighter shade)! Here is a set I made for a quick and inexpensive hostess gift. No fuss - just stamping in lovely colors!! I used binding rings to hold the set together with some matching ribbon & twine. 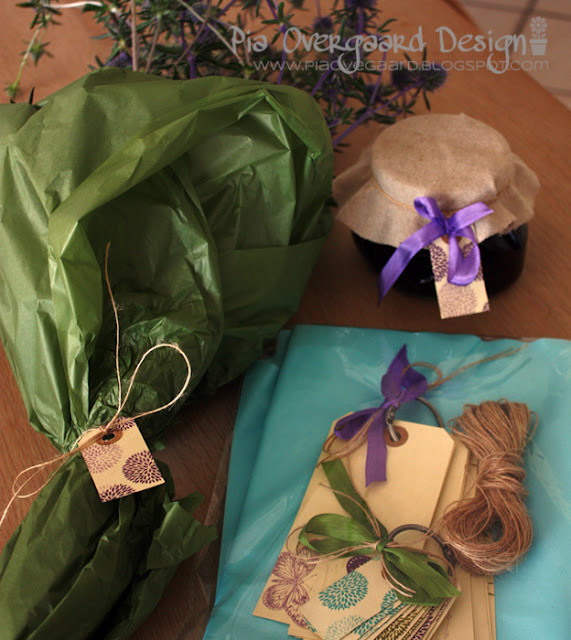 Wrapping it up with matching tissue paper & twine for gift wrapping & some matching flowers & homemad jam. Hvor ser det godt ud, Pia..
Rigtig sødt og hurtigt lavet, ser det ud til..
Great idea Pia! Also would be nice to give a set to someone who preserves jams etc! You're so creative!! Pia - so stunning. Love what you created. Beautiful! So very simple and absolutely stunning at the same time! Beautiful tags! Great gift idea! These are beautiful, Pia! Congrats on the HA tweet! simple gorgeousness, Pia! love them!